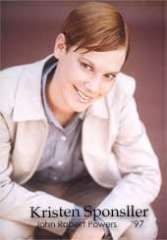 P at & Anne Martinkus work as a husband and wife team. Anne obtained her real estate license in 1977. In 1984 went into partnership in a small franchised real estate office and at the same time opened a business brokerage. 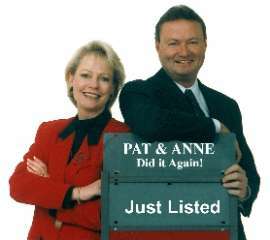 After working in management and ownership for two years, she realized how much she enjoyed working directly with buyers and sellers and sold both the real estate office and business brokerage and moved her license to the same company Pat & Anne are presently with. In 1996 this office was bought out by Keller Williams and what a great thing that has been! I was born in California, but moved to Garland with my family when I was 13. I graduated from South Garland in 1976 and got my Associates Degree from Richland College in 1979. Over the years, I worked as a Secretary/Administrative Assistant at various companies. I worked in commercial real estate for about 12 years. After I had my son, Austin, in 1991 I was able to stay home with him for a few years and then went to work part time for American Tract Society when he went to school. I have always been interested in residential real estate and was planning to wait until Austin went to college to pursue this career, but my plans changed. I took my real estate classes in the Spring of 2006, passed my test and got my license that summer, and started working with Keller Williams in October. Taking these classes and getting my license has probably been the most challenging thing I have done in my adult life, but it’s been the most rewarding. I enjoy people and I enjoy looking at houses, so it all fit. Keller Williams Firewheel has proven to be a great company to work for and I am blessed to have the opportunity to work with Team Martinkus as well. I have gained a lot of real estate knowledge through classes I have taken at MetroTex and the Keller Williams Firewheel office. I am a member of MetroTex Association of Realtors, Texas Association of Realtors and National Association of Realtors. I am a member of the Keller Williams Firewheel ALC (Associate Leadership Council), I am on the Career Development Committee, Social Committee and also help to raise funds for KW Cares. KW Cares helps Keller Williams’ agents and their families in times of need. I am married to Paul Williams and live in Rowlett. Paul is a psychotherapist and is currently working with the Military, doing speaking engagements and counseling with soldiers and their families. Our son Austin is 16 years old and is a sophomore at Heritage Christian Academy. We attend Fellowship Bible Church Dallas. I enjoy interior decorating, reading, spending time with my family, socializing with friends, snow skiing in Colorado and horse back riding. 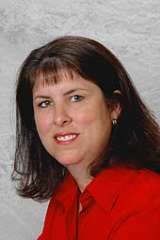 Kristen Sponseller graduated from John Robert Powers in 1997 and Rockwall Christian Academy in 1999. She is presently attending Collin County College and working as administrative assistant for Team Martinkus. Among many other tasks, Kristen takes care of making sure the paper work for Team Martinkus buyers and sellers is straight and in charge of making sure all mailings go out in a timely manner. This job fits perfectly in her schedule as she works toward her degree in elementary education.